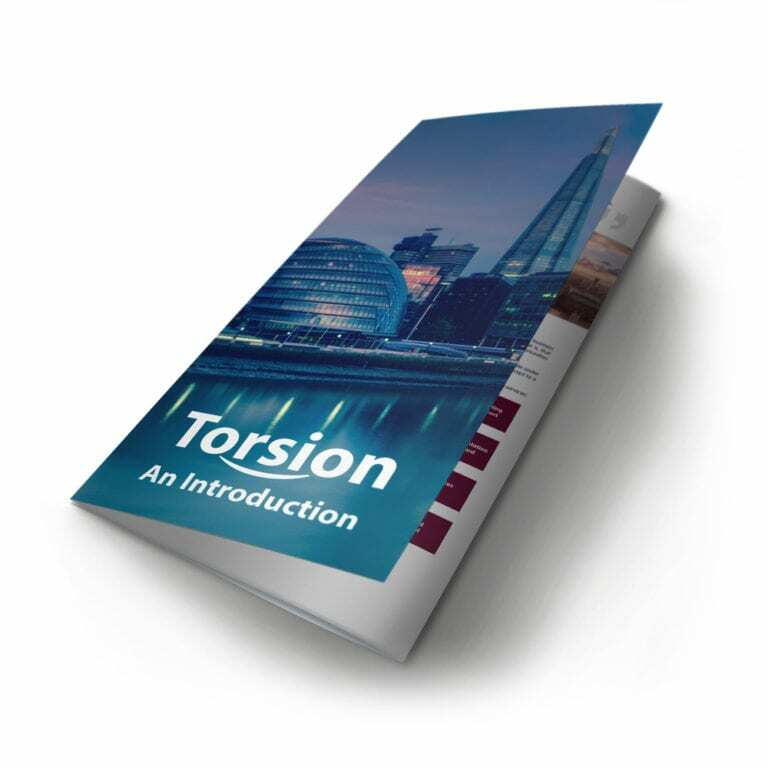 Torsion Consulting have significant numbers of consultants available across many sectors and disciplines so they can quickly and effectively put together teams for their clients. 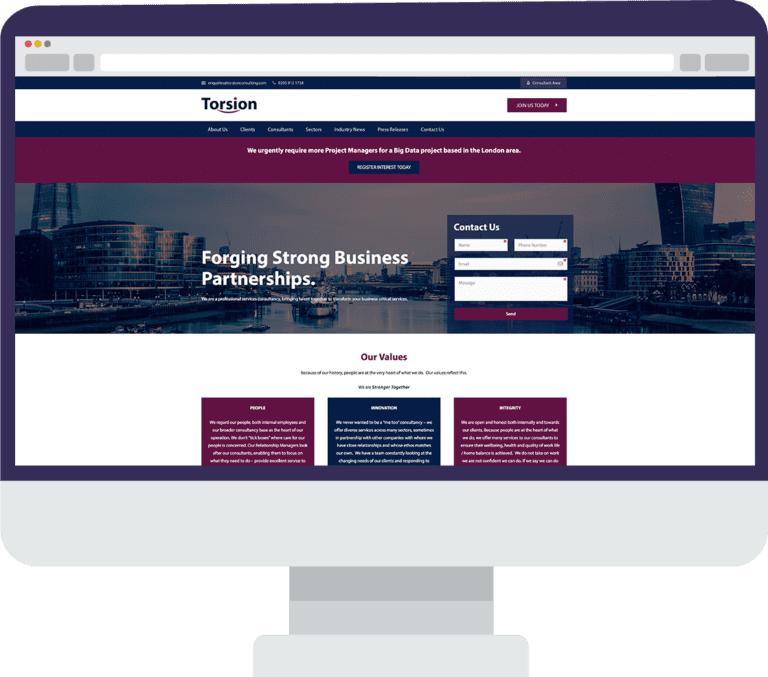 Torsion approached us looking for website that they could both channel their existing consultants for information via their portal, as well as attracting new consultants to join their team. This also required a user dashboard to be developed where contractors could easily edit their profiles that are sent off to clients. 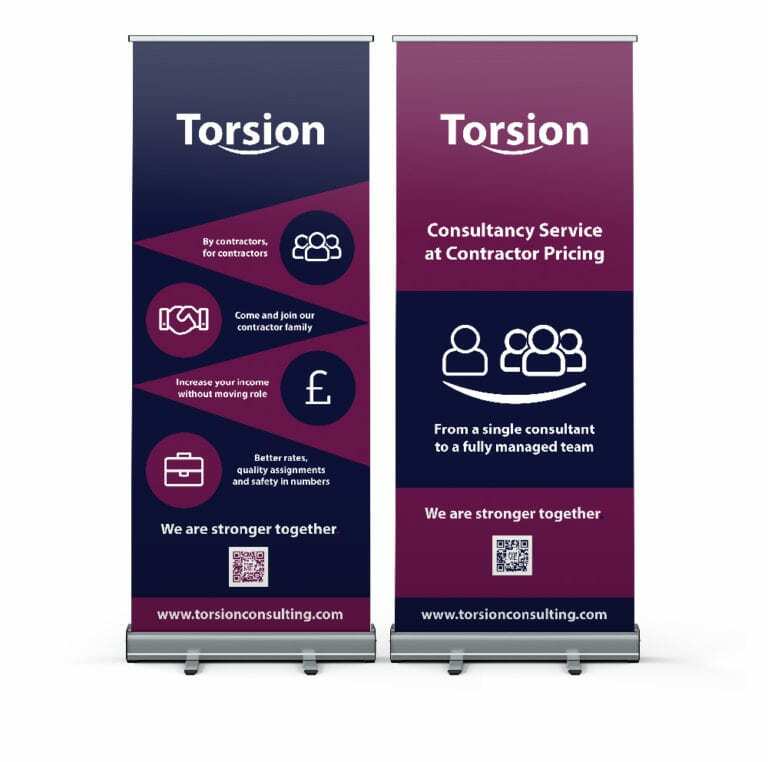 Torsion Consulting also needed full branding developed, a mailshot campaign, social media channels set up and branded merchandise for contractors and trade shows. In addition, they asked us to source, produce and monitor the results for a high end advertising campaign with suitable partners. We initially developed all branding and then moved onto the front end of the website where information could be shown to attract new consultants to join the business. Once complete, we began working on the portal, boasting automatic url shortening and expiration and an ‘online bookshelf’ of their for their resources. We set up all social media channels, running some campaigns ourselves on their behalf, but in addition we trained their staff to manage part of the social media mix themselves. We also sourced and designed web advertising banners, negotiated contracts and placing the advertising on high traffic contractor websites. 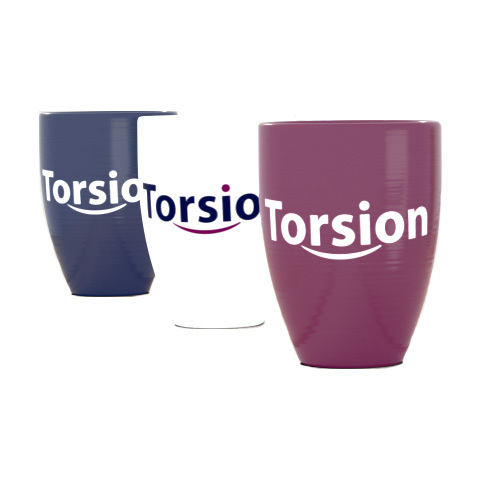 We also sourced, designed and negotiated prices for ‘high end’ branded merchandise for the client. We took a long time deciding who to award the website build to, but Salepath Digital were the outright winner as not only did they really know what they were talking about with websites, they also offer many other marketing services which we needed to use. They were the only company who took a lot of time really making sure they understood ‘us’ and our ethos. 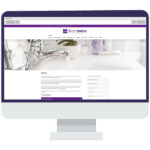 Our website is in 2 parts – the part everyone can see and a large internal secure intranet which they built for us from scratch. We have ended up using Salepath Digital for not only the initial branding and website build, which were are really happy with, but PPC, mail shots, instagram, brochures, marketing materials (mugs/pens etc!!!) business cards, banners and just about anything else you can think of!! They really are an extension of our business and are a pleasure to deal with. Nothing is ever too much trouble and they always do what they say they will do, on time too!! Very happy with them and we hope to continue to work with them for many years to come.